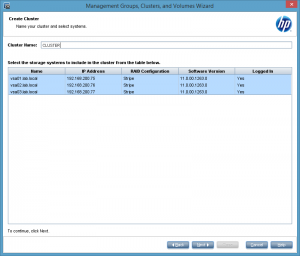 Part I of this series covered the deployment, part II is dedicated to the configuration of the StoreVirtual VSA cluster. I assume that the Centralized Management Console (CMC) was installed. Start the CMC. If you see no systems unter “Available Systems”, client “Find” on the menu and then choose “Find Systems…”. A dialog will appear. Click “Add…” and enter the ip address of one of the earlier deployed VSA nodes. Repeat this until all deployed VSA nodes are added. Then click “Close”. Now you should have all available VSA nodes listed under “Available Systems”. A management group contains virtual and physical StoreVirtual systems that are managed together. 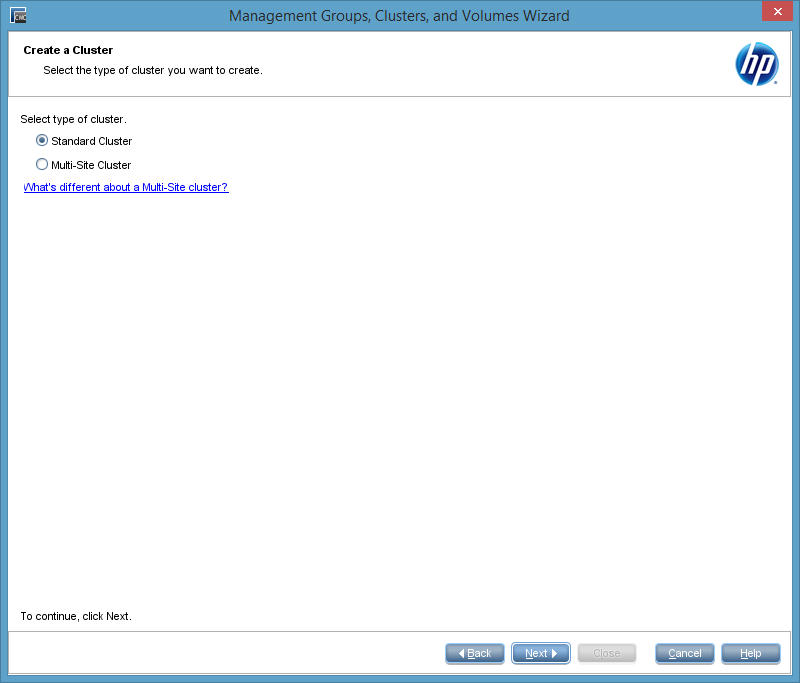 Cluster and volumes are defined per management group. 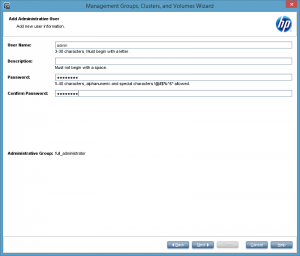 Also user accounts are defined per management group. Right click a node and choose “Add to New Management Group…” from the context menu. We will add all three nodes into this new management group. Click “Next”. On the next page of the wizard we have to enter a username and password for a administrative user, that will be added to all nodes. On the next page we have to provide a NTP server. You can set the time manually, but I recommend to use a NTP server. In this case it’s the Active Directory Domain Controller in my lab. Please note, that this server has to be reachable for the VSA nodes! In part I we deployed the VSA nodes with two NICs and with eth0 they can reach the NTP server. On the next page of the wizard, you have to provide information about the DNS: DNS domain name, additional DNS suffixes and one or more DNS servers. For the DNS servers the same applies as for the NTP server. They have to be reachable for the VSA nodes! 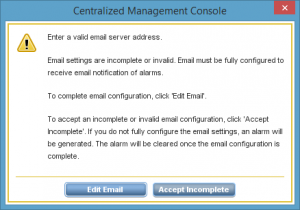 To use the e-mail notification, you have to provide a SMTP server. I don’t have one in my lab, so I left the fields empty. This results in a warning message which can safly be ignored. Now comes a very important question: Standard or Multi-Site Cluster? A Multi-Site cluster is necessary if site fault tolerance is needed. It also takes care, that traffic from hosts is only send to the local site. A Multi-Site cluster can span multiple sites and can have cluster virtual ip addresses (cluster VIP) in different subnets. A Multi-Site cluster is needed, if you want to build a vSphere Metro Storage Cluster (vSMC) with HP StoreVirtual. I chose to create a standard cluster. After chosing the cluster type, we have to provide a cluster name and the number of nodes, that should be member of this new cluster. 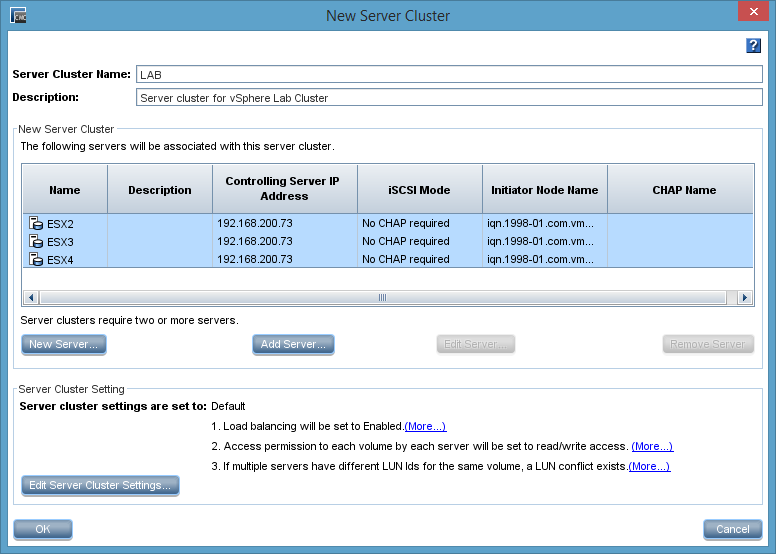 The next step is to configure the cluster virtual ip address (cluster VIP). This ip address has to be in the same subnet as the VSA nodes. This ip address is used to access the cluster. After the initial connection to the cluster VIP, the initiator will contact a VSA node for the data transfer. The wizard allows us to create a volume. This step can be skipped. I created a 1 TB thin-provisioned volume. 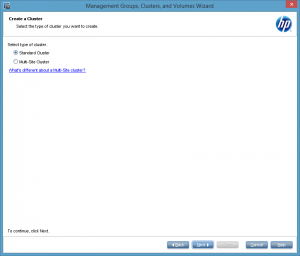 After clicking “Finish” the management group and the cluster will be created. This steps could take some time. At the end you will get a summary screen. 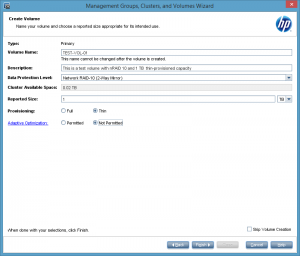 You can create further volumes or you can repeat the whole wizard to create additional management groups or cluster. Congratulations! You have now a fully functional HP StoreVirtual VSA cluster. This message occures, if you have deployed your VSA nodes and two NIC and the NIC, that is used for iSCSI, isn’t selected as the preferred SAN/iQ interface. I mentioned in part I that I would refer to the “Select the preferred SAN/iQ interface” option later. This is now. You can get rid of this message, by selecting the right interface as the preferred SAN/iQ interface. Select “Network” on a VSA node, then click the “Communication” tab and choose “Select LeftHandOS Interface…” from the “Communications Tasks” drop-down menu on the bottom of the page. The message should disappear after changing this on each affected VSA node. If you want to work with application-managed snapshots, you have to provide a “Controlling Server IP Address”. When working with VMware vSphere, this is the ip address of the vCenter server. With at least two hosts, you can create a server group. 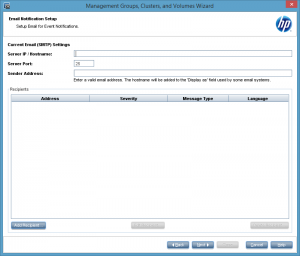 A server group simplifies the volume management, because you can assign and unassign volumes to a group of hosts with a single click. This ensures the consistency of volume presentations for a group of hosts. 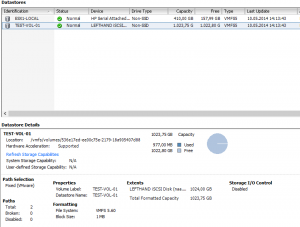 During the initial configuration we created a 1 TB thin-provisioned nRAID 10 volume. 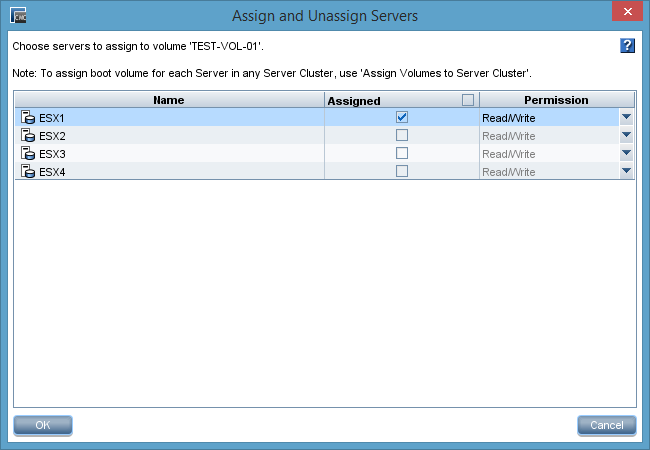 To assign this volume to a host, right-click the volume in the CMC and click “Assign and Unassign Servers…”. A windows will popup and you can check or uncheck the server, to which the volume should be assigned. A volume can be presented read-only or read-write. We are nearly at the end. 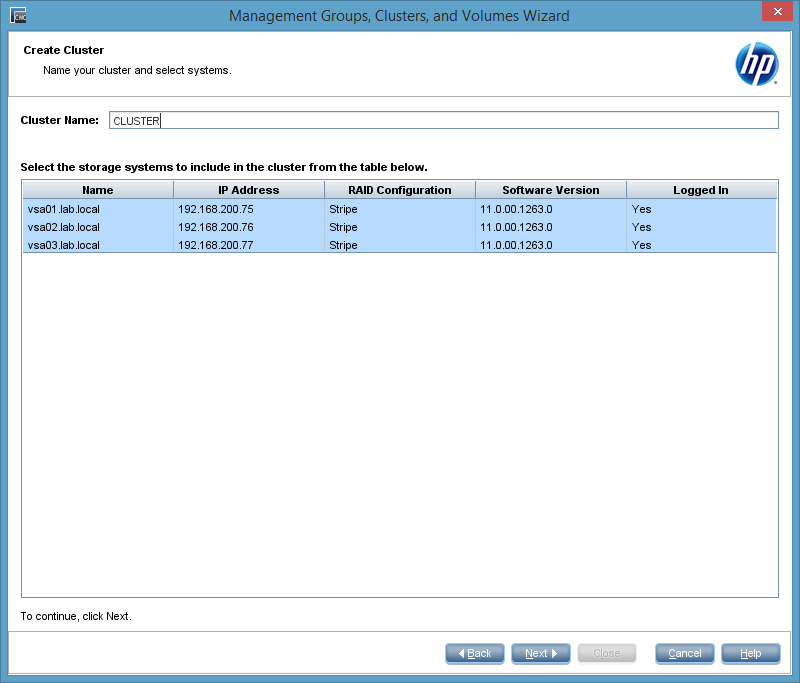 We only have to add the cluster VIP to the iSCSI initiator and create a datastore out of the presented volume. The deployment and configuration is really easy. But this short series only scratched the surface. You can now add more volumes, play with SmartClones and remote snapshots. Have fun! This entry was posted in Storage and tagged hp, storage, storevirtual, virtualization, vmware on May 10, 2014 by Patrick Terlisten. I would like to thank Calvin Zito for the donation of StoreVirtual NFR licenses to vExperts. This will help to spread the knowhow about this awesome product! If you are not a vExpert, you can download the StoreVirtual VSA for free and try it for 60 days. If you are a vExpert, ping Calvin on Twitter for a 1y NFR license. 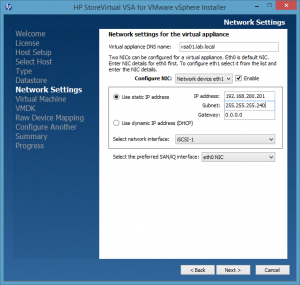 This blog post covers the deployment of the current StoreVirtual VSA release (LeftHand OS 11). 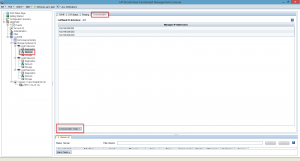 A second blog post covers the configuration using the CMC. Both posts are focused on LeftHand OS 11 and VMware vSphere. If you are searching for a deployment and configuration guide for LeftHand OS 9.x or 10 on VMware vSphere, take a look at this two blog posts from Craig Kilborn: Part 1 – How To Install & Configure HP StoreVirtual VSA On vSphere 5.1 & Part 2 – How To Install & Configure HP StoreVirtual VSA On vSphere 5.1. Another blog post that covers LeftHand OS 11 is from Hugo Strydom. Hugo wrote about what he did with his VSA (vExpert : What I did with my HP VSA). I wrote a blog post about the HP StoreVirtual VSA some weeks ago. If you are interested in some basics about the VSA, check my mentioned blog post. Before you start, you should have a plan. There are some things you should consider. vSwitches: We have to design and configure the virtual switches (vSwitches) and port groups. 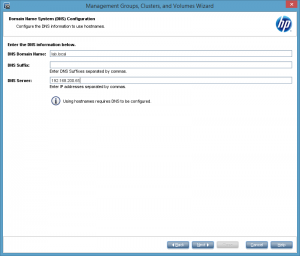 The vSwitches should be dedicated to the VSA cluster and the accessing hosts. You should configure at least 2x 1 GbE for performance and redundancy as vSwitch uplinks. If the iSCSI initiators and all nodes of the VSA cluster are running on the same host, you can use a vSwitch with no uplinks. If you want to use jumbo frames, you need to configure the vSwitches, port groups and VMkernel ports accordingly. I recommend to use a dedicated iSCSI VLAN to separate the traffic. IP addresses: Each VSA needs an ip address. I recommend to use two ip addresses: One for eth0 and one for eth1. eth0 will be used for management and must attached to a port group, that makes it possible to reach the interface. Either because you client is attached to the same port group, the traffic is routed or the physical client is in the same VLAN as the VSA. eth1 will be used for iSCSI. 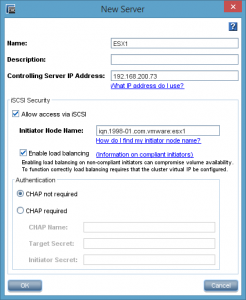 You also need an ip address for the cluster virtual ip address (cluster VIP). This address must be in the same subnet as the eth1 ip addresses of the VSA nodes. If you want to use multipathing for your iSCSI initiators, each initiator needs two ip addresses in the same subnet as the VIP and the VSA nodes. Storage: A VSA node has a single disk for the OS. All other disks are attached to a seperate controller (when using VMware the Paravirtual SCSI adapter is used). Storage can be added as VMDK or RDM to a VSA node, beginning with SCSI 1:0 (first device on second controller). If you want to use Adaptive Optimization (AO), you should have 10% of the total capacity on SSDs. The VMDK or RDM should be RAID protected, so you should avoid the use of RAID 0. Disks can be hot-added, but not hot-removed. You need at least 5 GB, but a VSA can scale up to 50 TB. CPU & Memory: CPU and memory resources have to be reserved. You should have at least two 2 GHz cores reserved for each VSA node. The memory requirements depend on the virtualized storage capacity. For 4 TB up to 10 TB you should have 7 GB RAM for each VSA node. If you want to use the same capacity with AO, you should have 8 GB RAM. For 500 MB up to 4 TB, you should have 5 GB RAM. This applies also when using AO. In a productional environment I strongly recommend to use CPU and memory reservation and not to run more than one VSA on a single host. This does not apply to a lab environment. I took some screenshots during the deployment of a VSA using the setup wizard. I ran the wizard on a Windows 8.1 client. The setup file (HP_StoreVirtual_VSA_2014_Installer_for_VMware_vSphere_TA688-10518.exe) is self-extracting. After the extraction a CMD comes up asking you, if you want to use the GUI or CLI interface. I chose the GUI wizard. Unfortunately after pressing “2” for the GUI wizard, the wizard didn’t appeared. I had to run the setup file as administrator (right click the file, then choose “Run as administrator”). On the welcome page simply click “Next”. 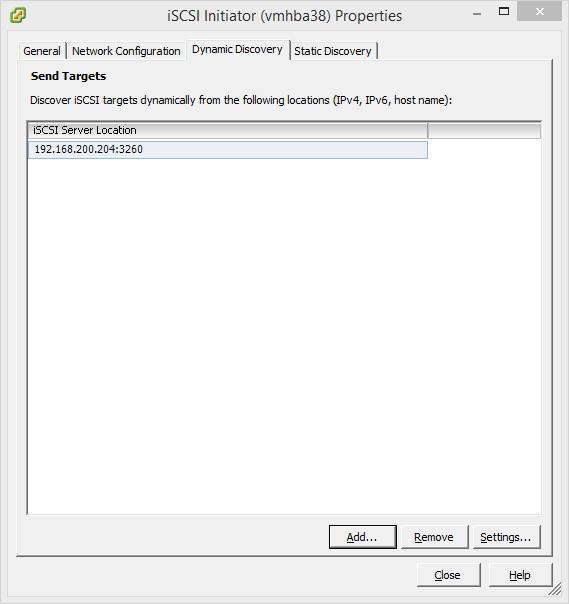 You have to provide hostname or ip address, and login credentials for the target ESXi host or the vCenter server. I chose a ESXi as target for my VSA deployment. On the third page you get a summary of the host you chosen one step earlier. Now you can choose between deploying a VSA or a Failover Manager. The latter is a special manger used in clusters as a quorum tie-breaker. But we want to deploy a VSA. In the next step we have to chose a datastore in which the VSA should reside. This has no impact on the later configured storage. The next step covers the NIC setup of the VSA. As I mentioned earlier I recommend to use two NICs for the VSA: One for management and a second one for iSCSI traffic. As you can see on the screenshot, I used eth0 for management. The second NIC is dedicated to iSCSI traffic. Please notice the drop-down menu on the bottom “Select the preferred SAN/iQ interface”. I will refer to it later. Now it’s time to give a name to the VM and to select the drive type. Because I had no RDMs in my lab, the option is greyed out. Now we have to configure the data disks. The wizard allows you to deploy more than one VSA. 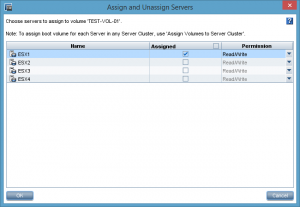 In the next step you can choose, if you want to deploy another VSA on the same or another host, or if you are done. I only deployed one VSA, so I was done at this point. Before you click “Deploy”, you should check the settings. If everything is fine, hit the “Deploy” button. The deployment will start immediately. After a couple of minutes the deployment is finished. Hit “Finish”. 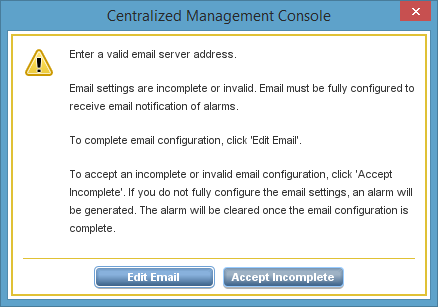 Now it’s time to start the Centralized Management Console (CMC). If not already installed, you can install it manually. Usually the CMC is installed automatically by the wizard. 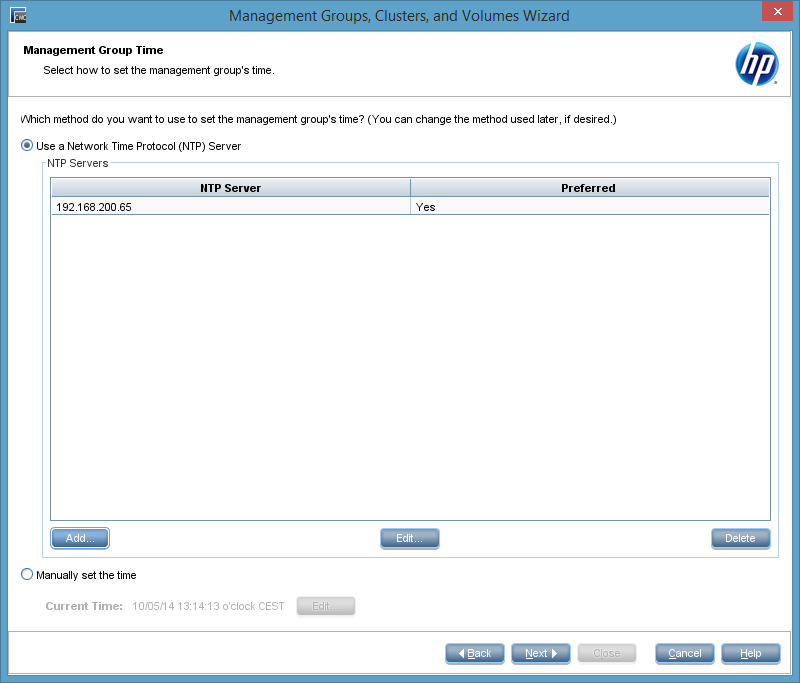 Part II covers the configuration of the management group, cluster etc. If you have further questions or feedback, feel free to leave a comment! In 2008 HP acquired LeftHand Networks for “only” $360 million. In relation to the acquiration of 3PAR in 2010 ($2.35 billion) this was a really cheap buy. LeftHand Networks was a pioneer in regard of IP based storage build on commodity server hardware. Their secret was SAN/iQ, a linux-based operating system, that did the magic. HP StoreVirtual is the TAFKAP (or Prince…? What’s his current name?) in the HP StorageWorks product familiy. ;) HP LeftHand, HP P4000 and now StoreVirtual. But the secret sauce never changed: SAN/iQ or LeftHand OS. Hardware comes and goes, but the secret of StoreVirtual was and is the operating system. And because of this it was easy for HP to bring the OS into a VM. StoreVirtual Virtual Storage Appliance (VSA) was born. So you can chose between the StoreVirtual Storage nodes (HW appliances) and the StoreVirtual VSA, the virtual storage appliance. This article will focus on the StoreVirtual VSA with LeftHand OS 11. The solution of LeftHand Networks differed in one imporant point: Their concept was not based on the “traditional” dual-controller paradigm. Their storage nodes formed a cluster and the data blocks were copied between the nodes. 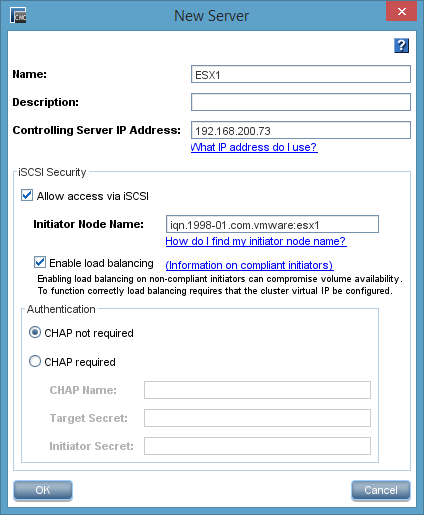 The access to the cluster was realized with a cluster virtual IP (VIP). So each node provided capacity and IO. And with each block, that were added to the cluster, performance and IO increased. Imagine a train, not a diesel locomotive, but a modern train where each axis has a motor. With each car of the train is added, capacity (for passengers) and drive power increases. You can call it GRID Storage. The StoreVirtual Storage appliances uses HP ProLiant hardware. Depending on the model between 4 and 25 SAS or SAS-NL disks are configured. If you use the StoreVirtual VSA, storage is allocated in form of raw device mappings (RDM) or VMDK. You simply add RDM or VMDK to the VSA. With this you can use the StoreVirtual VSA to utilize local storage in hosts. Beside the local RAIDs inside the HW appliances, StoreVirtual provides resiliency through Network RAID (nRAID). Karim Vaes wrote an excellent article and described the different nRAID level in detail. To make a long story short: Network RAID works like the well known raid levels. Instead of dealing with disks, you deal with data blocks. And the data blocks are copied between two or more nodes. Depending on the number of nodes inside of a cluster, you can use different nRAID levels and get more or less redundancy and resiliency in case of one or more node failures. Currently you can choose between Network RAID 0, 5, 6, 10, 10+1 and 10+2 to protect against double disk, controller, node, power, network or site failure. A cluster is a group of nodes. One or more clusters can be created in a management group. 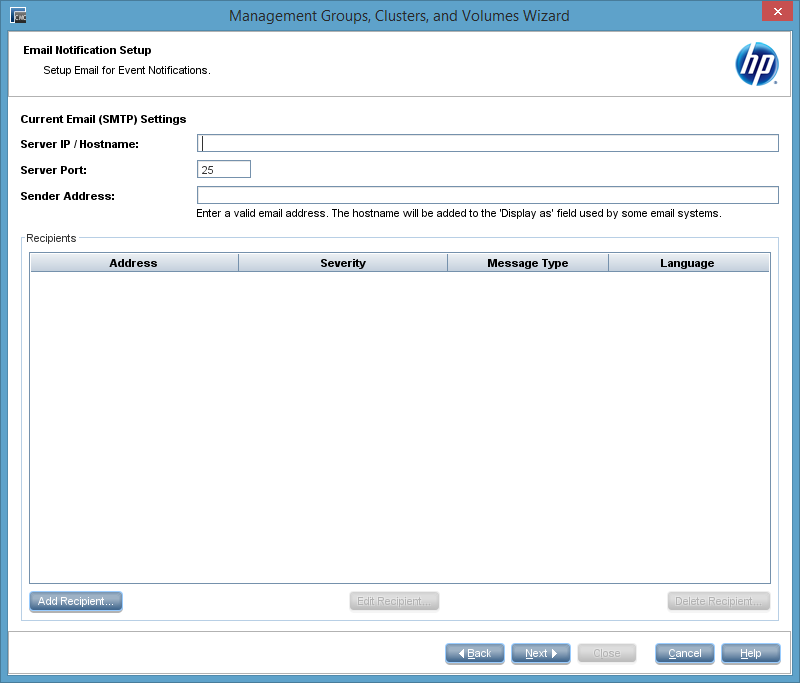 So the smallest setup is a Managementgroup with one cluster. The storage capacity of all nodes inside of a cluster is pooled and can be used to create volumes, clones and snapshots. The volumes seamlessly span the nodes in the cluster. You can expand the storage and IO capacity by adding nodes to the cluster. 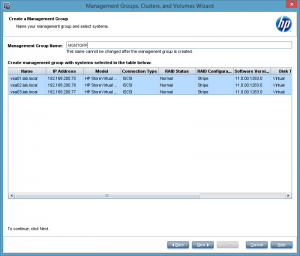 The StoreVirtual VSA offers their storage via iSCSI. A cluster has at least one IP address and each node has also at least one IP address. The cluster virtual IP address (VIP) is used to connect to the cluster. 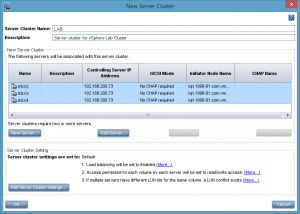 As long as the cluster is online, the VIP will stay online and will provide access to the volumes. A quorum (majority of nodes) determines if a cluster can stay online or if it will go down. For this a special manager is running on each node. You can also use specialized managers, so called Failover Manager (FOM). If you have two nodes and a FOM, at least one node and the FOM need to stay online and must be able to communicate with each other. If this isn’t the case, the cluster will go down and access to volumes is no longer possible. StoreVirtual provides two clustering modes: Standard Cluster and Multi-Site Cluster. A standard cluster can’t contain nodes that are designated to a site, nodes can’t span multiple subnets and it can only have a single cluster VIP. 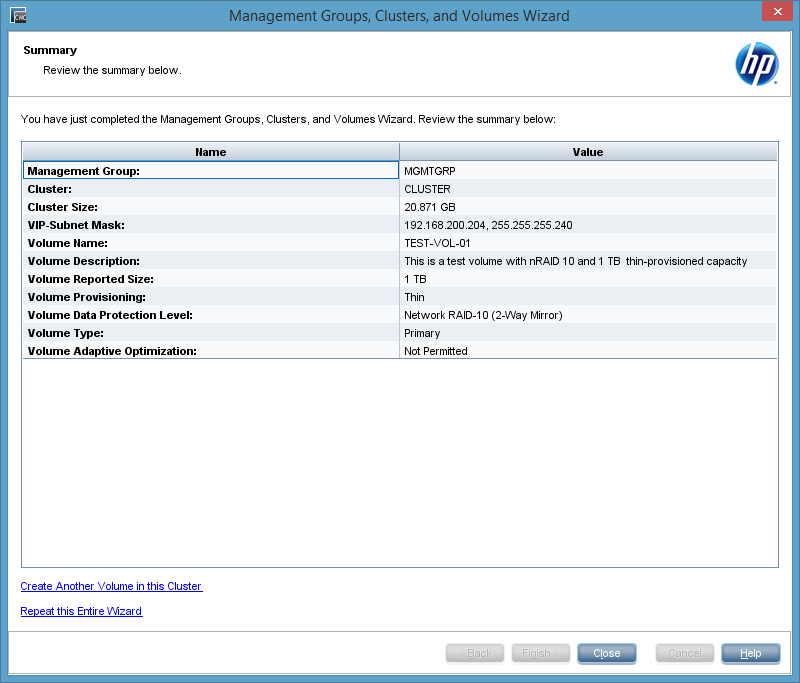 So if you need to deploy StoreVirtual Storage or VSA nodes to different sites, you have to build a Multi-Site cluster. Otherwise a standard cluster is sufficient. Don’t try to deploy a standard cluster in a multi-site enviroment. It will work, but in unawareness of multiple sites, LeftHand OS won’t guarantee that block copies are written to both sites. Configure the VSA for vSphere to start automatically and first, and before any other virtual machines, when the vSphere Server on which it resides is started. 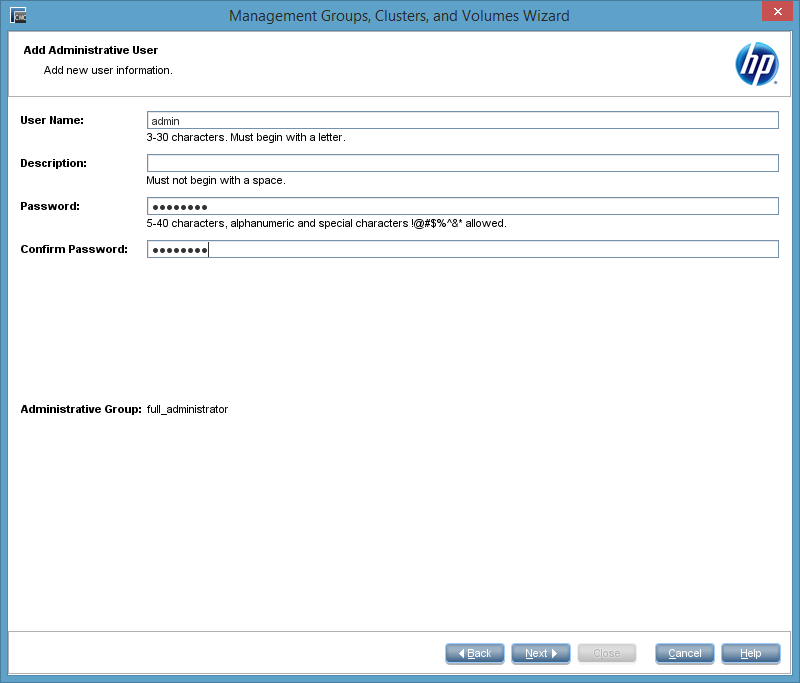 This ensures that the VSA for vSphere is brought back online as soon as possible to automatically re-join its cluster. 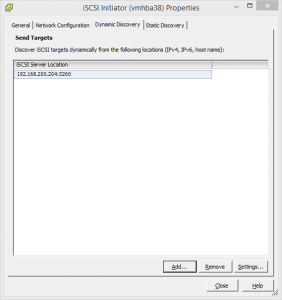 Locate the VSA for vSphere on the same virtual switch as the VMkernel network used for iSCSI traffic. 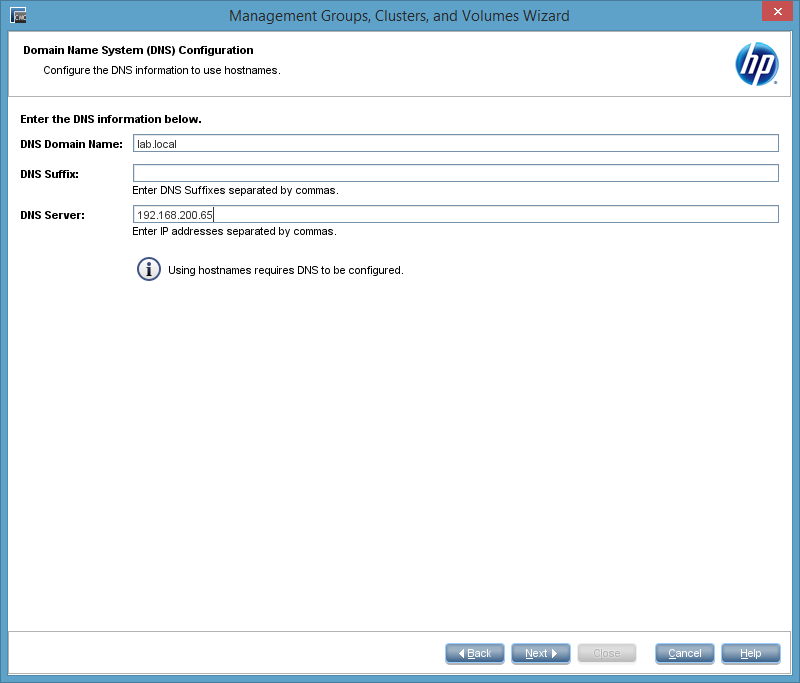 This allows for a portion of iSCSI I/O to be served directly from the VSA for vSphere to the iSCSI initiator without using a physical network. Locate the VSA for vSphere on a virtual switch that is separate from the VMkernel network used for VMotion. This prevents VMotion traffic and VSA for vSphere I/O traffic from interfering with each other and affecting performance. HP recommends installing vSphere Server on top of a redundant RAID configuration with a RAID controller that has battery-backed cache enabled. Do not use RAID 0. Use of VMware snapshots, VMotion, High-Availability, Fault Tolerance, or Distributed Resource Scheduler (DRS) on the VSA for vSphere itself. 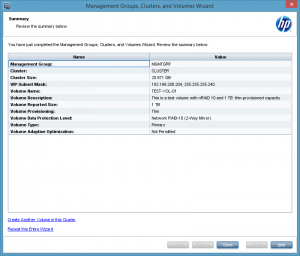 Use of any vSphere Server configuration that VMware does not support. Co-location of a VSA for vSphere and other virtual machines on the same physical platform without reservations for the VSA for vSphere CPUs and memory in vSphere. 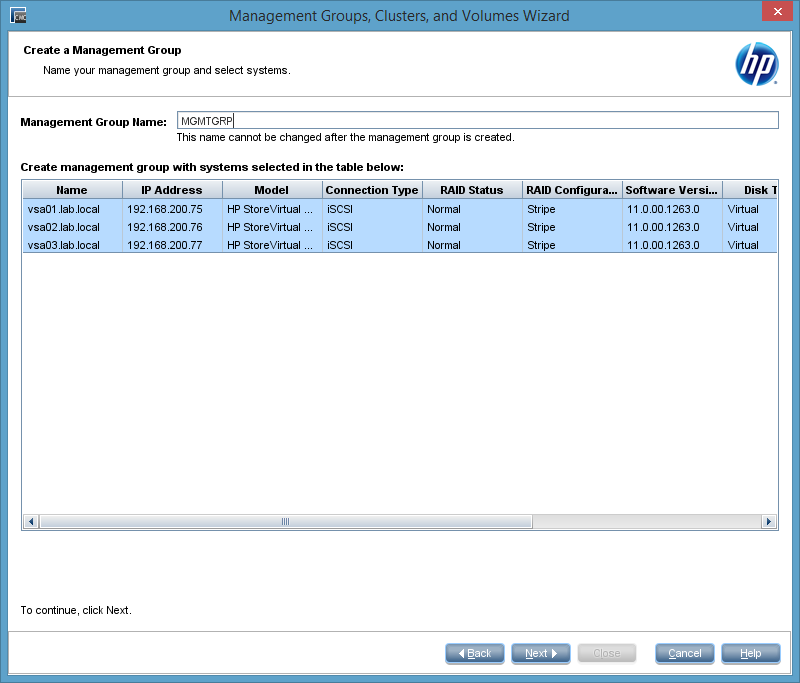 Co-location of a VSA for vSphere and other virtual machines on the same VMFS datastore. Running VSA for vSphere’s on top of existing HP StoreVirtual Storage is not recommended. Because the OS is the same for HW appliances and VSA, you can manage both with the same tool. A StoreVirtual solution is managed with the Centralized Management Console (CMC). You can run the CMC on Windows or Linux. The CMC is the only ways to manage StoreVirtual Storage and VSA nodes. On the nodes itself you can only assign an IP address and set user and password. Everything else is configured with the CMC. Meanwhile there are some really cool solutions that integrates with HP StoreVirtual. 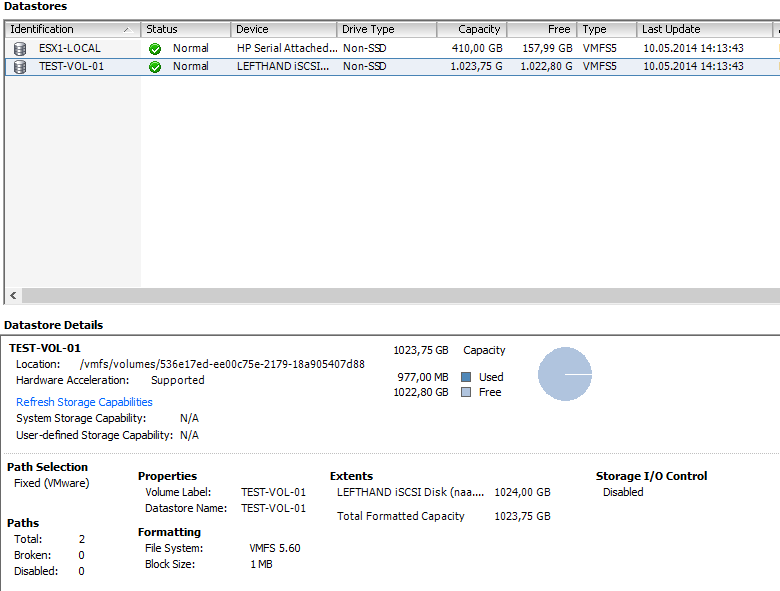 Take a look at Veeam Explorer for SAN Snapshots. StoreVirtual is also certified for vSphere Metro Storage Cluster. You can get a 60 days evaluation copy on the HP website. Give it a try! If you’re a vExpert you can get a free NFR license from HP! Blog posts about deploying StoreVirtual VSA, features like Snapshots or Adaptive Optimization and solutions like Veeam Explorer for SAN Snapshots will follow. 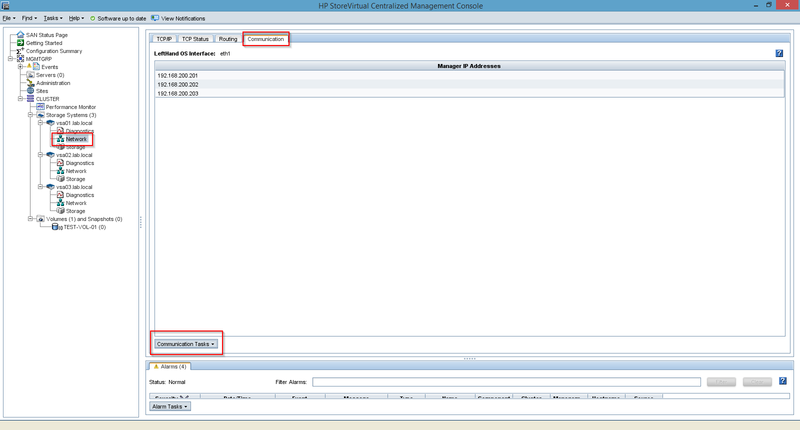 I will also blog about the HP Data Protector Zero Downtime Backup with HP StoreVirtual. This entry was posted in Storage and tagged hp, storage, storevirtual, virtualization, vmware on April 16, 2014 by Patrick Terlisten.